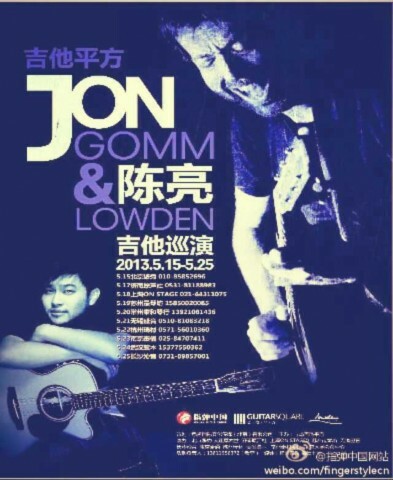 In May of 2013, Jon Gomm and CK-Chen, master of fingstyle guitar players, held fingerstyle national tour in 10 cities of Chinese mainland. 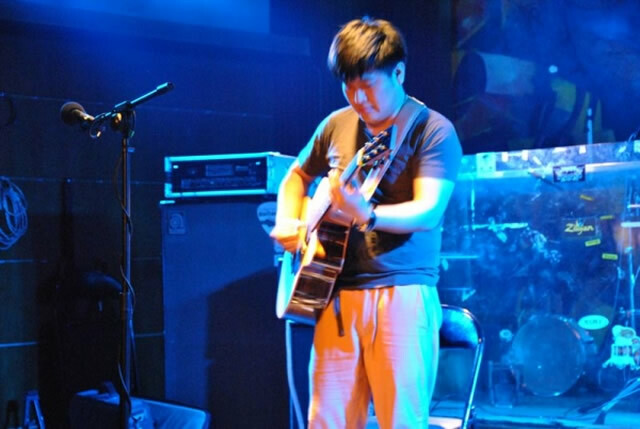 In order to hold a successful national tour, Chinese Fingerstyle spent almost half a year on plan and organization, with its aim to offer home guitar players or lovers opportunities to appreciate different fingerstyles. Guitar Square had got the naming right for the national tour and each cooperative partner provides help for the national tour in his local city. 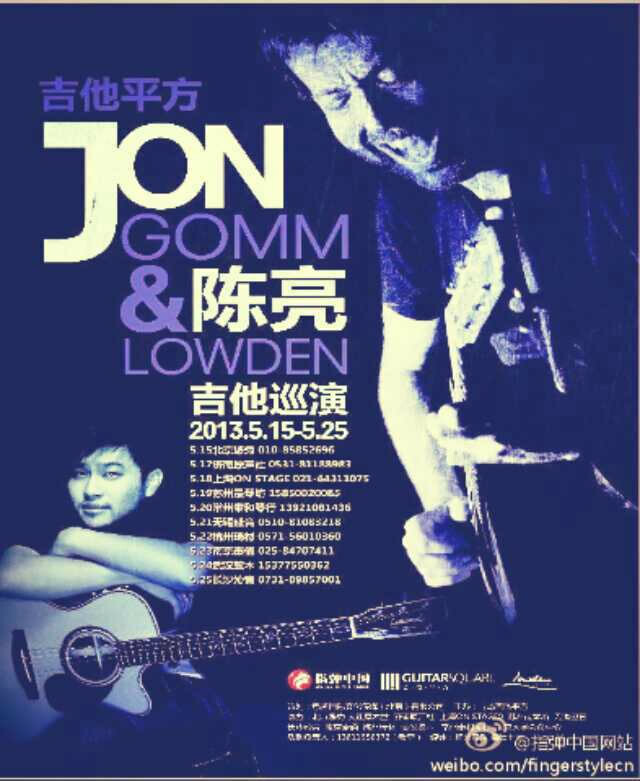 Fingerstyle national tour put performance in 10 cities: Peking, Jinan, Shanghai, Suzhou, Changzhou, Wuxi, Hangzhou, Nanjing, Wuhan and Changsha. 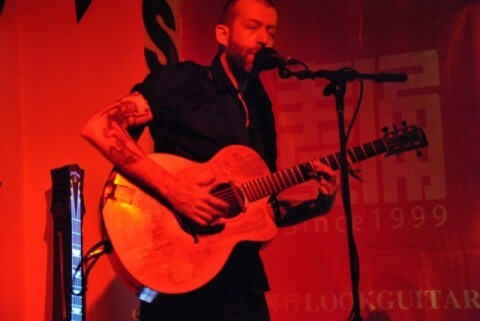 What impressed audience most was that Jon Gomm took off his shoes before he got on the stage and gave the whole performance with his barefeet. At times, he also walked to the auditorium to share his guitar pleasure with audience. 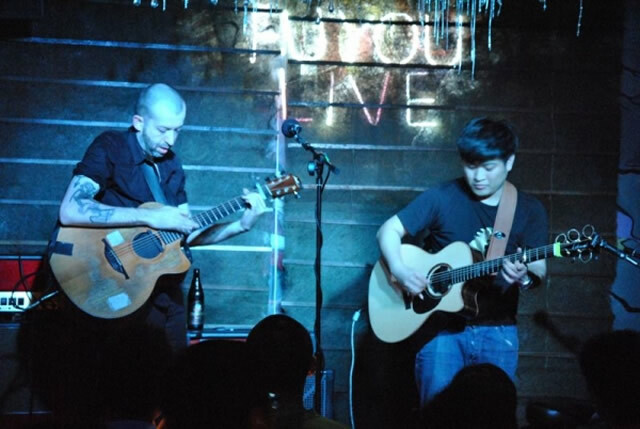 While CK-Chen played the guitar in lower profile compared with Jon Gomm and he also brought his new orginal guitar songs for the audience, to whom it was really a big surprise. Jon Gomm and CK-Chen played one tune under coopeation on the stage, which puts the party to highlight. The performance which was held in 10 cities really satisfied local people’eyes and ears. 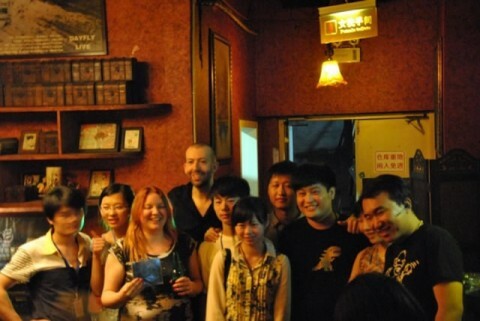 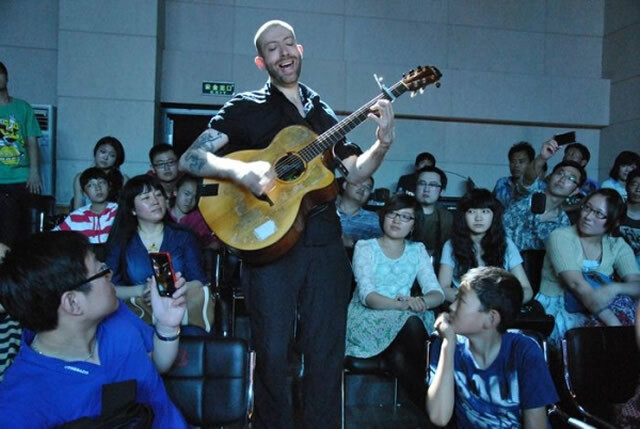 On May 25th, 2013 Guitar Square Fingerstyle National Tour concluded with rewarding results in Changsha among audience’s cheers and lasting applauses.